Nowadays, making charcoal from sawdust is no longer a problem. Because we can get sawdust charcoal with the help of charcoal making machines. 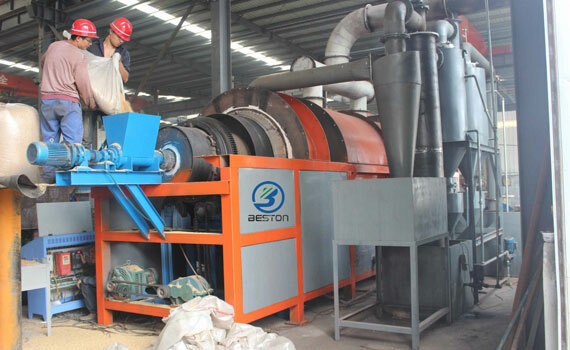 The following is the detailed introduction of sawdust charcoal machine without the gasification device. Beston sawdust to charcoal machine with “one fire two step method ” , which is the unique technology. So far, there is no other biomass carbonization technology could be compared with ours. At the process of operation, the raw material moisture removed by the pre-dryer. And the dryer heating source come from the residule hot smoke & heat in carbonization machine chamber. It is not necessary to set an additional heating furnace for the dryer. We only need to calculate the cost of carbonizing, the calorific fuel utilization rate can reach more than 90%. Any traditional charcoal machines do not have this kind of structure and technology to improve these blind spots. About the fuel selection, Beston charcoal machines can be designed to customer’s local cheap fuel. Make the most use of carbon, coal, biomass, flammable gas and combustible rubbish. In this way can save cost as well as achieve the virtuous circle. There is absolutely only use one hot air source. Any machine if they add one more hot air source it means one more step and the cost of fuel, electricity, labor will increase. This is a scientific and practical problem beyond doubt. 1. Configured with sealing system, ensure the environmental cleanliness and production safety. 2. Configured with the casing (protective shell), which can prevent the body contacting the high temperature directly. 3. Combustible gas was recycled to the burner, combustion device with pressure gauge, pressure relief valves and electronic ignition device. 4. Professional desulfurization, smoke-remove, cooling system. 5. Power supply section has a standardized control system to ensure safety. 6. Central control can be designed according to the customer’s request, which can separate the operator and machine. According to a variety of organic, it is different in raw materials and water. In this way, the final technical parameters will be different even though it used the same equipment. 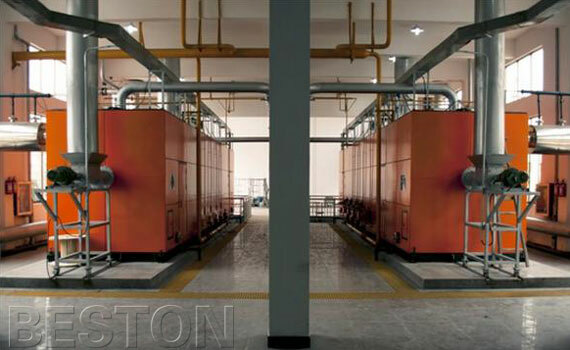 In short, the temperature of carbonization furnace should not lower than 700℃. The higher temperature it is, the big capacity it will have. And the faster carbon speed it is the lower it will cost. Because the different application of carbonized “man-made charcoal” so there have different requirements for carbonation. Production equipment can produce 1-10t/h when the carbon content is 15%. If the carbon content is 30% production equipment’s maximum is 6 t/h.